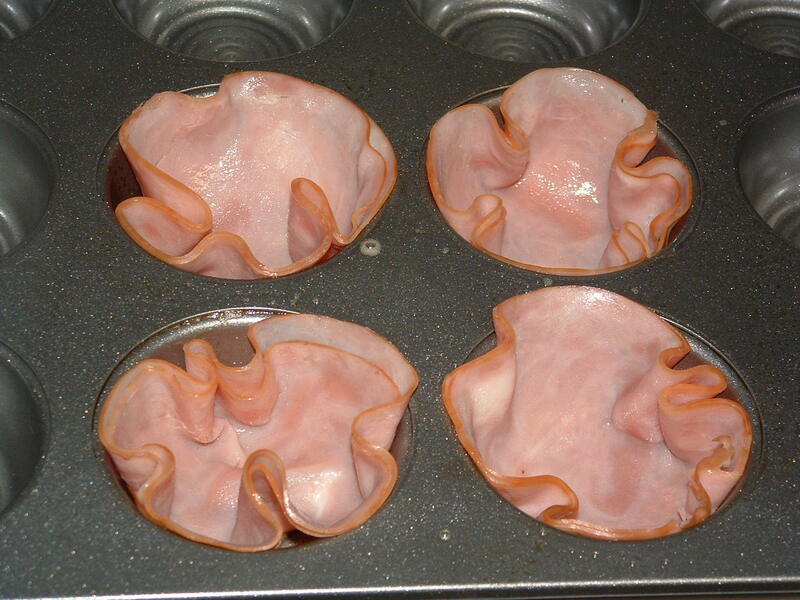 Spray a muffin pan with PURE. Place pan in oven to heat. 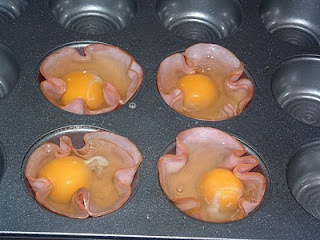 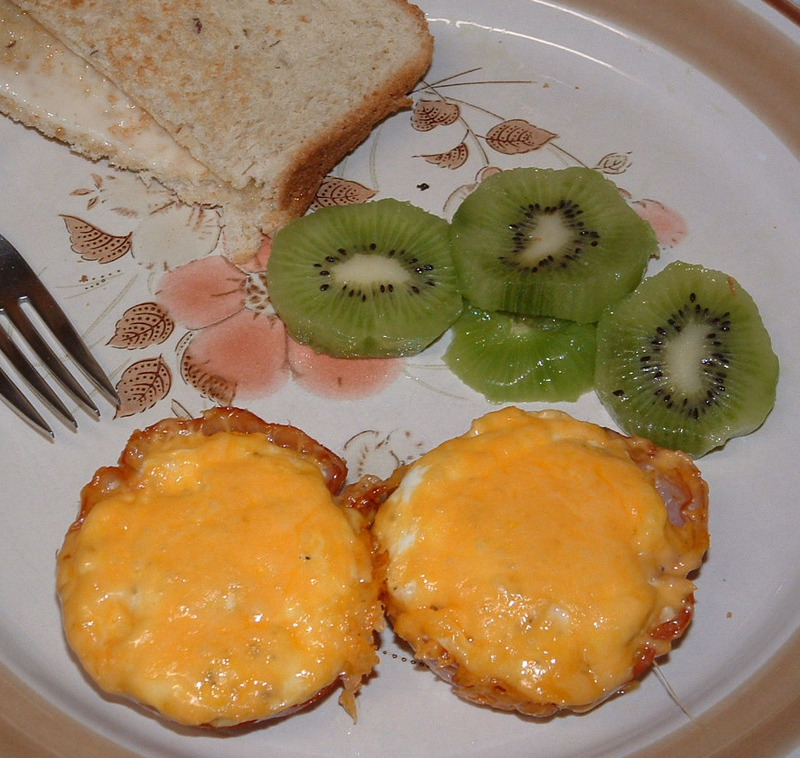 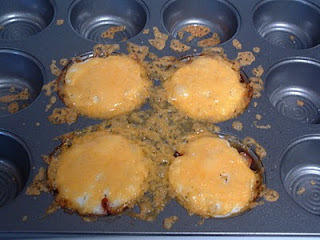 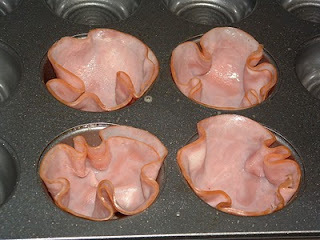 Line each muffin slot with 2 slices of ham.